This Super penthouse is well-situated in the town outskirts, allowing you to easily walk to Denia center and the beach, paddle and swimming pool with Jacuzzi. 86m 2 property is composed by 3 bedrooms, 2 bathrooms, a kitchen and 5 terraces that allow you to enjoy the views towards the sea and the mountains, at the same time giving luminosity to the entire home. The apartment has many corners where you can enjoy special moments, reading a book on a terrace with incredible views, taking the Sun in a hammock with total privacy, or having a good time with friends in one of the larger terraces. Do not miss the opportunity to get a duplex penthouse close to Denia to live all year-round or for holidays, with all the modern comforts. 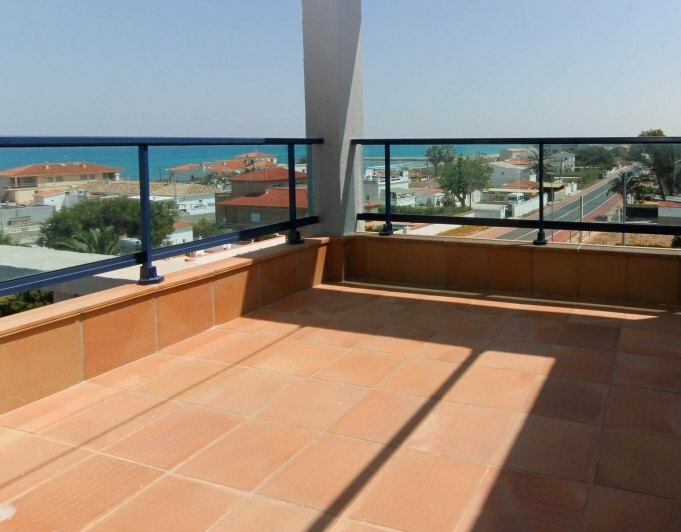 Penthouse in Denia for sale. 140 m2 penthouse is divided into 2 floors and south facing with views of the Montgo mountain and sweeping views over the center of Denia. On the first floor there is the bright living room with two large windows with direct access to the sunny terrace. The fully independent kitchen has direct access to the terrace. A double bedroom and a simple one, very bright, as well as a full bathroom with shower and a large closet in the hall wall for any use. The second floor with access from the interior staircase is divided into 2 double bedrooms in Suite and a storage room in the corridor. Also very light with windows in folding roof. The penthouse is sold fully furnished and with air conditioning ducts, individual for each floor, as well as split separately in the bedrooms. The parking space is located 200 m from the house with very easy access and completely closed Around the building are all services such as supermarkets, schools, pharmacies, banks and green areas. 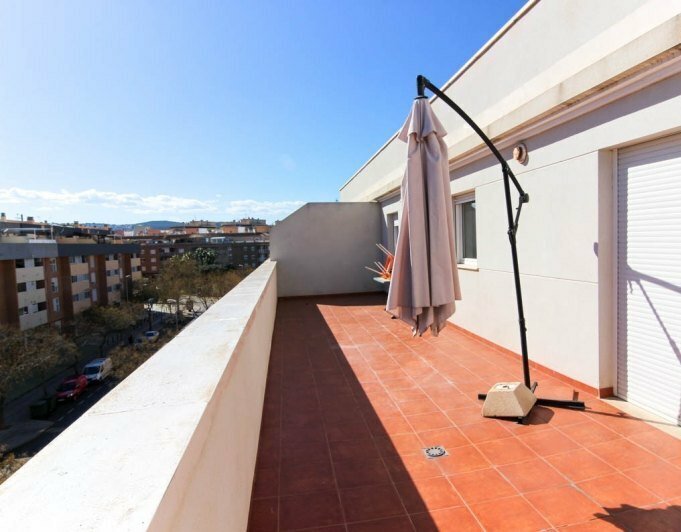 Penthouse in Denia for sale only 100 meters from the sand beach and walking distance to supermarket, restaurants and all amenities. Penthouse in Denia for sale, duplex in a private urbanization with garden and swimming pool, playground. Walking distance to sandy beach, park, two supermarkets, bars and restaurants, tennis club and sports center with heated pool, soccer fields. 100 meters from the bus stop to the city center. Ground floor: living room with access to a large terrace, 2 bedrooms, kitchen, bathroom and guest toilet. Upper floor: bedroom, bathroom, terrace. The terraces with sea views, Montgo mountain and the castle of Denia. 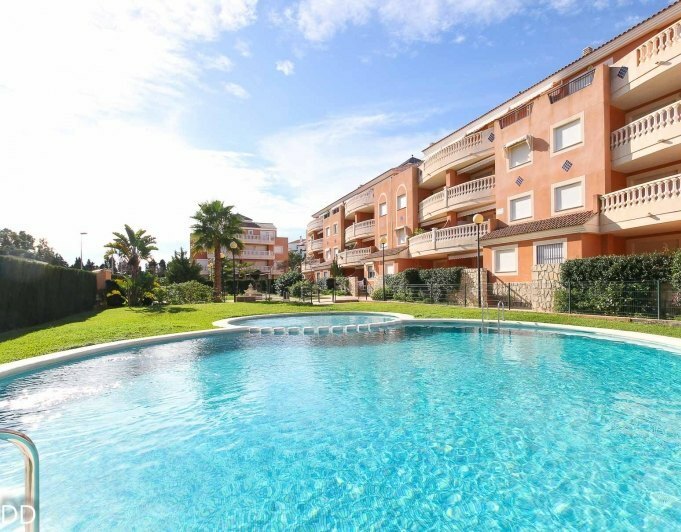 Penthouse in Denia for sale, only 200 m from the sea and 500 from town center. 200 m from new indoor pool, gym and spa in city sports area and tennis club. Walking to large park and restaurants. 258 € year tax, 80 € month community fee. Terrace 40 m2. Easy steps, but no lift.